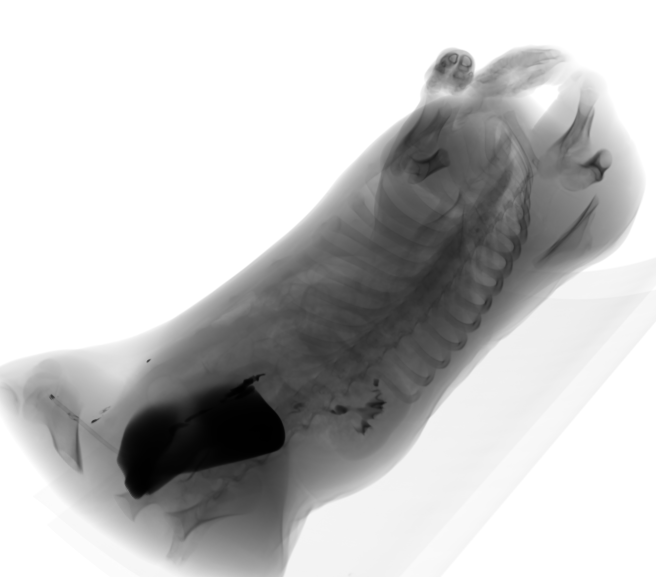 from volumetric data (Dicom format or other): a 3D medical image can directly get imported in SOFA. By generating a simulation scenario with X-ray rendering, it becomes possible to navigate around the image volume and even add physics to it, i.e. animate/deform the imported data.